Byron’s swashbuckling tale The Corsair sold an unprecedented 10,000 copies on its first day of publication in 1814 and firmly established the “Byronic hero” in the Romantic imagination. 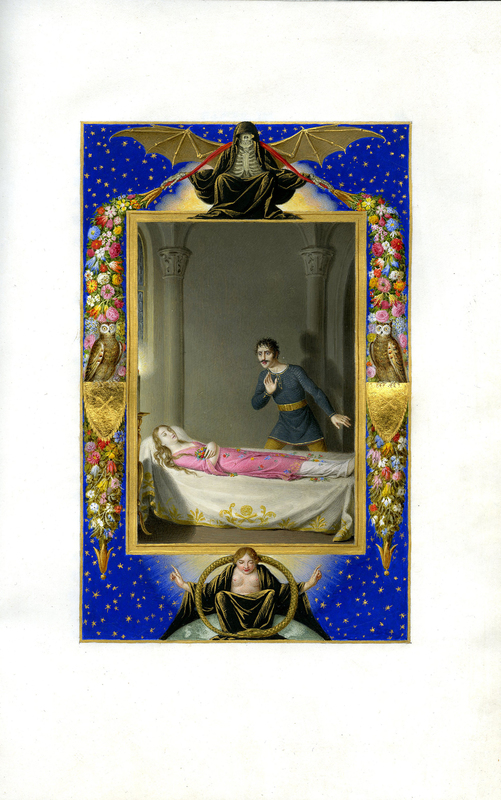 Printed on vellum and bound in dark blue velvet, this deluxe Milanese edition features ten exquisite illuminations by the Italian artist Giambattista Gigola (1769-1841). On my first visit to Houghton Library as a young Byron collector, I never dreamt of having the privilege nearly forty years later to bring the poet once more before his public.